Tonight and Tomorrow: Scattered showers and storms will begin to break up through the evening, leading to drier conditions abound 10 PM this evening. 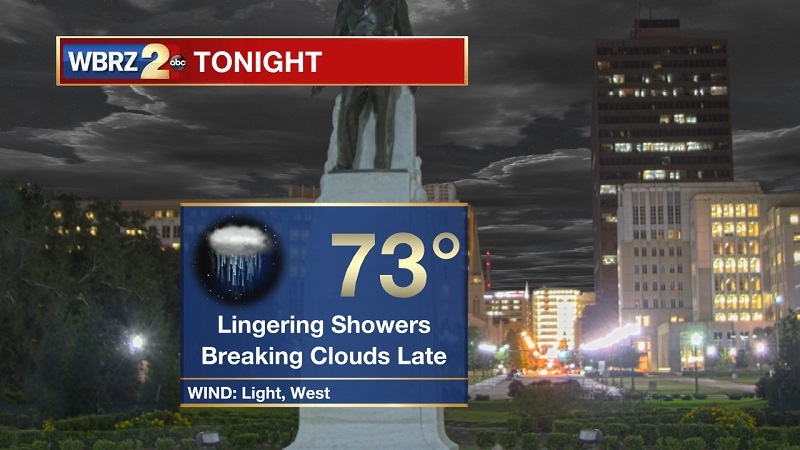 Temperatures will be dropping to an overnight low of 73°, with calming winds out of the west. Clouds will break late, but return on Monday. Coastal showers will take hold between 5 AM and 6 AM, and will continue to push inland through the morning and early afternoon hours. Winds will be out of the south and east, with waves of showers and storms moving in from the coast through much of the day. Temperatures will be warming into the 80s by 10 AM, but only reaching a high of 86° because of cooling storms. Showers will dissipate late, staying in the vicinity until 10 PM. Up Next: This wet pattern will stick around across the Gulf States through the start of the workweek, only set to break up and lift Thursday and into Friday. These showers and storms will continue to peak through the afternoon, helping to keep high temperatures hovering in the mid-80s through Wednesday. Highs will slowly approach average as we approach the weekend. Hurricane Florence is now located about 685 miles southeast of Bermuda and 560 miles northeast of the Leeward Islands. Sustained winds are at 90 mph, and she is moving west at 7 mph. A west-northwestward motion with an increase in forward speed is expect on Monday, and that motion should stay through the mid-week. Florence will move between Bermuda and the Bahamas on Tuesday and Wednesday, and approach the southeastern coast of the United States on Thursday. She is forecast to rapidly strengthen to a major hurricane by Monday, and is expected to remain an extremely dangerous major hurricane through Thursday. Some long-term models are expected the storm to linger in the Carolinas as it falls apart from Thursday through Monday. 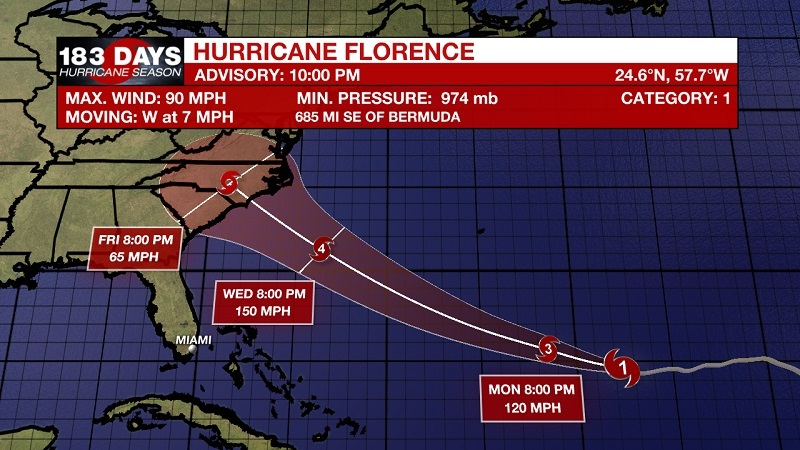 Other models are keeping it slightly offshore, but the National Hurricane Center is holding with a Wilmington, North Carolina landfall Thursday evening. If you have any family, friends, or loved ones on the Carolina and Virginia coasts, know their plan and have several ways of contacting them. 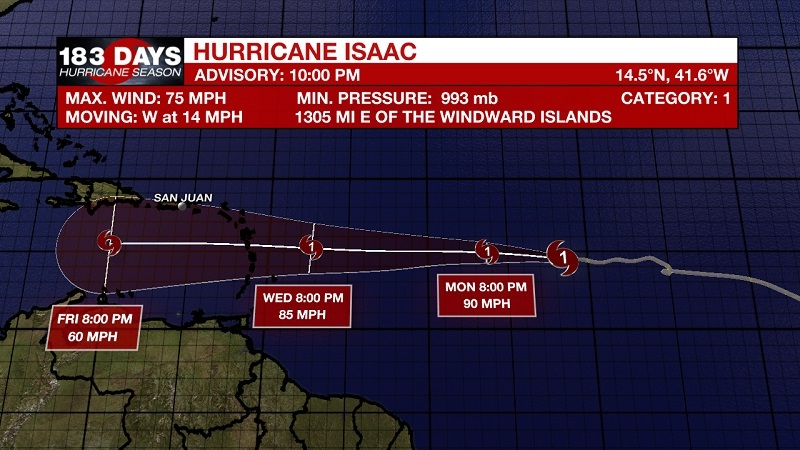 Isaac has now reached hurricane status with the 10 PM Advisory as a Category 1 hurricane. He is currently located 1305 miles east of the Windward Islands, and moving west at 14 mph with 75 mph sustained winds. Isaac is expected to accelerate during the next 24 hours. 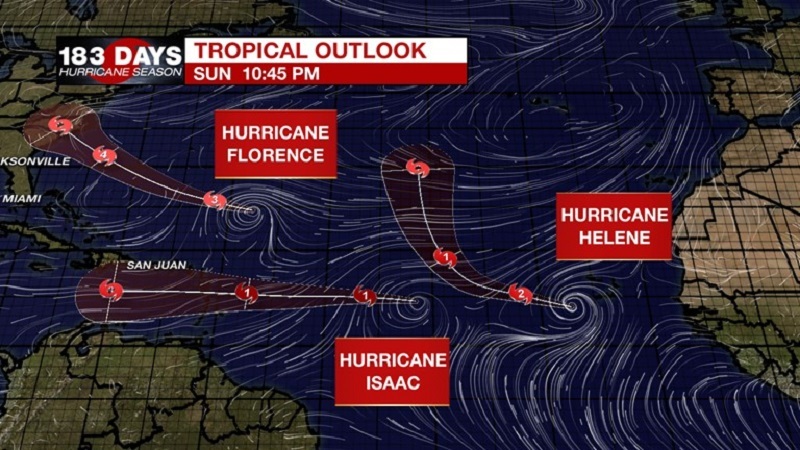 A westward motion is forecast to continue through the end of the week, with Isaac expected to move across the Lesser Antilles and into the eastern Caribbean Sea Wednesday night or Thursday. Additional strengthening is expected over the next day or two. Weakening is anticipated to begin by the middle of the week while Isaac approaches the Lesser Antilles. 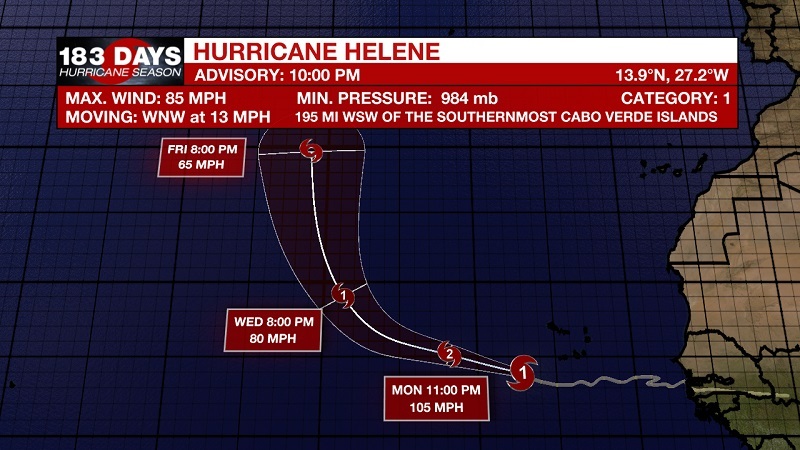 Helene intensified to hurricane status earlier today, currently 195 miles west-southwest of the Cabo Verde Islands with 85 mph sustained winds, and moving west-northwest at 13 mph. 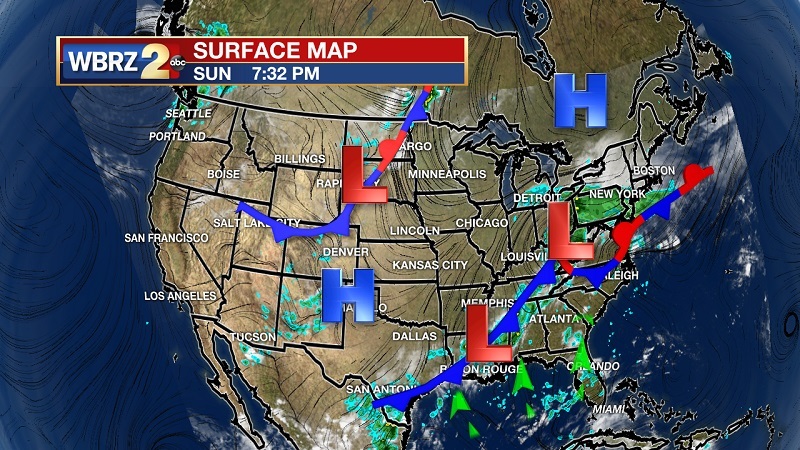 A turn toward the west-northwest is expected on Monday, with a continued northwest motion through Tuesday. Additional strengthening is forecast during the next 48 hours. We are also monitoring a combination of an upper-level trough and a tropical wave over the northwest Caribbean Sea that is producing a large area of disorganized showers and thunderstorms between Cuba and Honduras. This disturbance is forecast to move slowly west-northwestward across the northwestern Caribbean Sea and the Yucatan peninsula during the next couple of days, with little to no development expected due to unfavorable upper-level winds and land interaction. 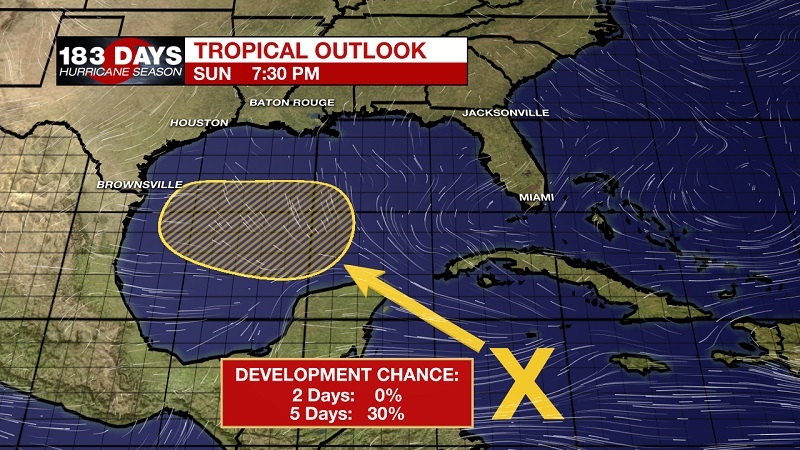 However, upper-level winds are forecast to become a little more conducive for development when the system moves across the western Gulf of Mexico Wednesday through Friday. The National Hurricane Center is forecast a 0% chance of development within the next 48 hours, but a 30% chance within the next 5 days. 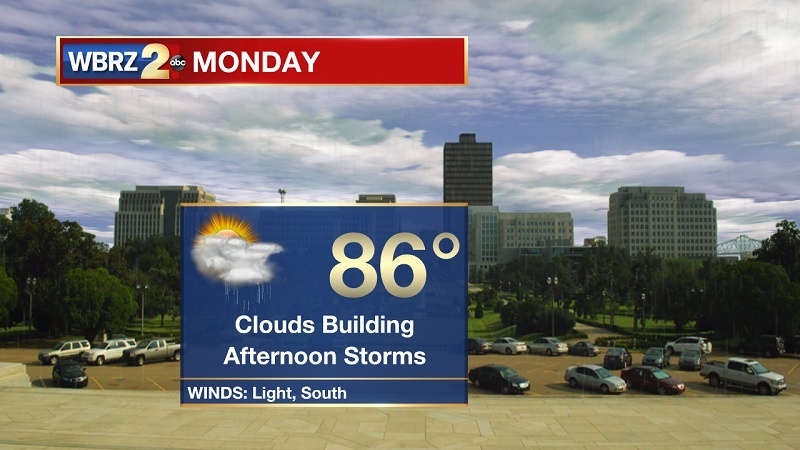 A stalled cold front draped from the base of the Appalachians through East Texas will continue to develop showers and storms across the Gulf States through Wednesday. The low pressure and upper-level trough associated with this front will keep moisture moving onshore and substantial uplift in the atmosphere. This system will finally break down and lose its strength as we move into the latter half of the week, but moisture will still move inland from the Gulf. The main difference will be that vertical development will be more of a direct result from warming afternoon temperatures. This means that showers and storms will be more isolated and spotty Friday, and will likely continue into the weekend. The tropics have been very active during the last week, and there is a potential for a system to develop in the Gulf, and Isaac will likely eventually make it in the Western Gulf in 7-10 days. The good news is that long-term models are hinting at Isaac breaking up over the Lesser Antilles, and having a tough time reforming as he continues east. The Gulf of Mexico is very warm, especially the Western Gulf, so one cannot rule out redevelopment of a wave anywhere in the Gulf Basin. Stay Tuned.